Looking to boost your search rankings? While nothing can help you reach an audience better than great content, there are simple habits that can help you boost search ranking and provide valuable information for users. And it doesn’t require a complete website overhaul or hiring an SEO expert. Here are three hacks to help you boost your website ranking and help more users find your website content. You might already know that video is a great way to engage with users on your website. From full-screen video headers to short clips to grab attention, moving images can provide information to users that still photos can’t. Video can be more than that as well. 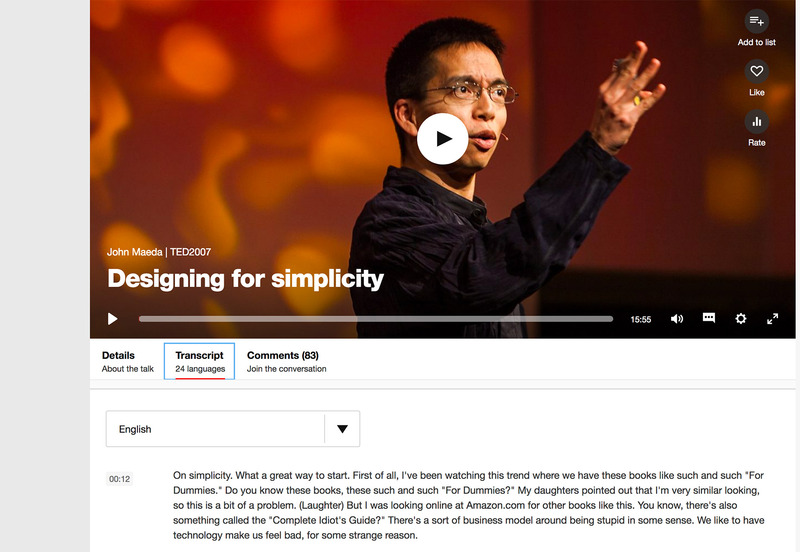 Use video for tutorials or how-to features to drive even more engagement. Often in website design, we use the phrase “show, don’t tell” to describe the design process. The same can be true for whatever your website is about as well. Create a video that provides a valuable resource for users. It could be a video that shows them how to use a product (if you have an ecommerce website) or how to do or make something related to your content area. Make sure to create a high quality video. It should provide complete information in a concise way – so that users will actually watch it. It makes the video accessible to more people because they can read the information (great if they are on your website without sound). Make each page with video content unique. Don’t use the same video and transcription on multiple pages of the website. It should have its own page and location. TED (shown below) does a great job with this, making videos easily accessible – and easy to search and find – for all users. Linking to sources inside and outside your website matters quite a bit. The idea is that your website should be a credible and authoritative source of original information. How information is referenced and sourced means a lot to Google’s search algorithm, making it important to use links well. But what are the right sources to link to? First consider authority and credibility. For facts and information, link to sources that relate to your content from websites that already have good search credibility. Those include websites that you’ve probably heard of and that have been around a long time. (A link to something from The New York Times is more authoritative than one from a blog start-up.) Look for official sources to link to as well. Websites that end in .gov and .org generally come with more authority than .com. Use these types of sources where appropriate, but make sure that the link is a resource related to your content. Then, the trick is to mix up all the right links, with the right number of linked sources. Too many links will look like link stuffing to search bots and will actually hurt your ranking. Pick a few key places to link. For a piece of content that’s 500 words, try to include three to five relevant links that are a mix of the types mentioned. While it’s hard for you to control what sources link to you, this is an important factor as well. The same quality of sources that you link to are the quality of sources you want to be linked from. (Say that five times fast!) When you create quality content, much of this linking will come naturally. Don’t force it. One of the first tips you’ll get when reading about SEO is to use meta tags. Most website designers know to do that. It’s how you use tagging that can make the website stand out in search. To tag like a pro, think about the major types of meta tags and how to use them effectively. Title tag: It what appears in the browser bar. Search engines think this is the title of the page and often matches the actual title of the content or H1 attribute. Meta robots attribute: This tells search crawlers whether to index the page or not. This is the index/noindex and the follow/nofollow information. Quality search starts with a quality website. You need to provide valuable information for users that’s yours. You can’t copy someone else or publish a mash-up of things and expect results. Find a topic or niche and own it. Then, make sure to diversify types of content and how you reference information. The goal is to be a credible source of unique information. That’s what these three hacks should help you accomplish in ways you maybe haven’t considered. 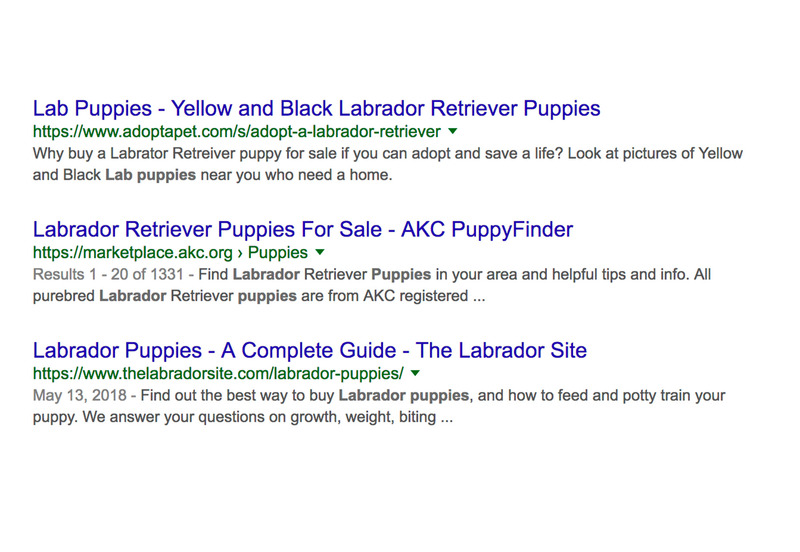 Create content that helps people in some way, and search results will likely follow. Previous articleWhat Makes Good Designer-Developer Collaboration?